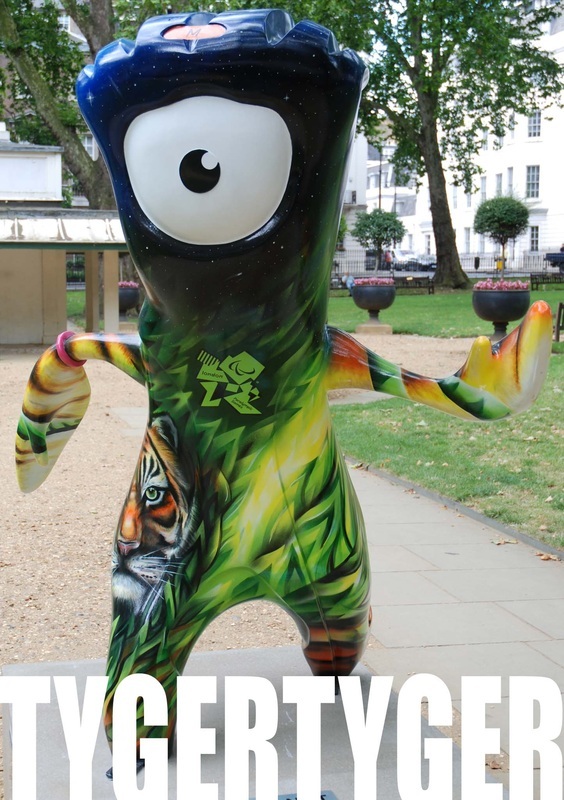 Earlier this year I painted these mascots for Stroll Discovery Trails, an event produced by Wild in Art for the Mayor of London's 'A Summer Like No Other' festival. 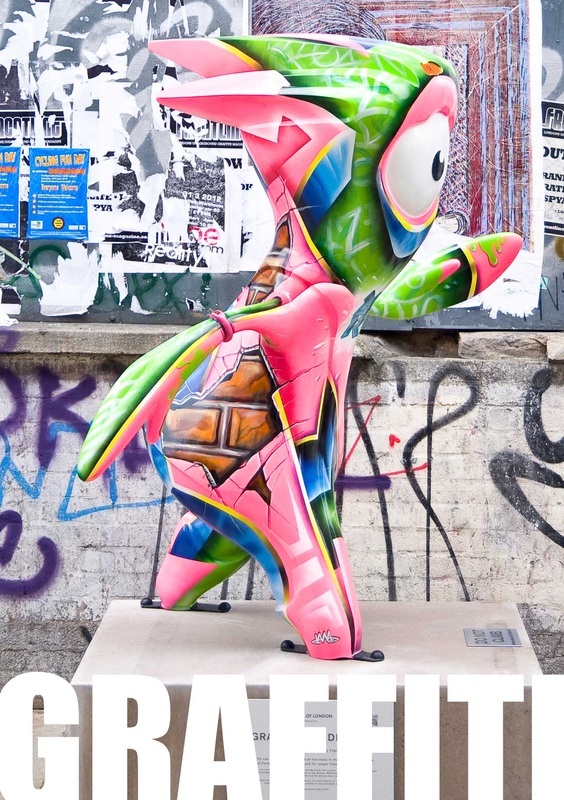 The Stroll Discovery Trails event featured over 80 sculptures of Wenlock, the official Olympic mascot and Mandeville, the official Paralympic mascot - on display around London during the summer. 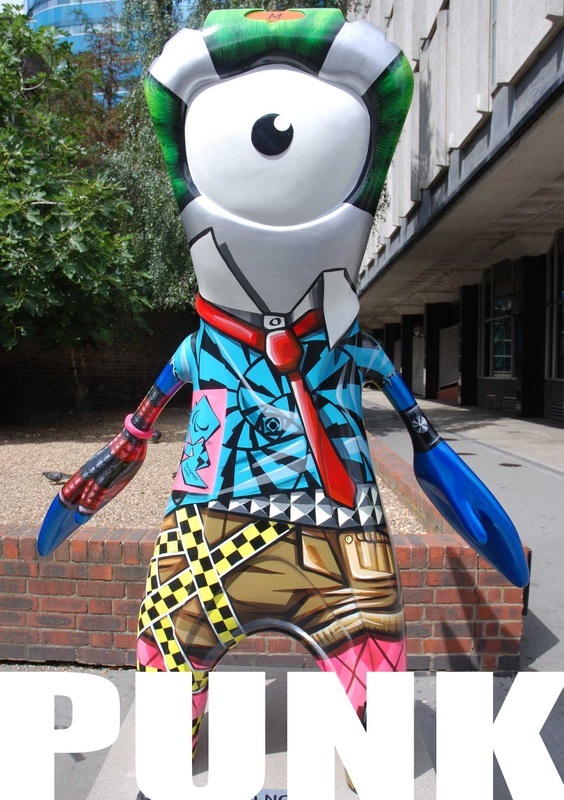 The mascots are being auctioned for the Mayors Fund for London to help improve the life chances and aspirations of disadvantaged children, young people and their families in London. 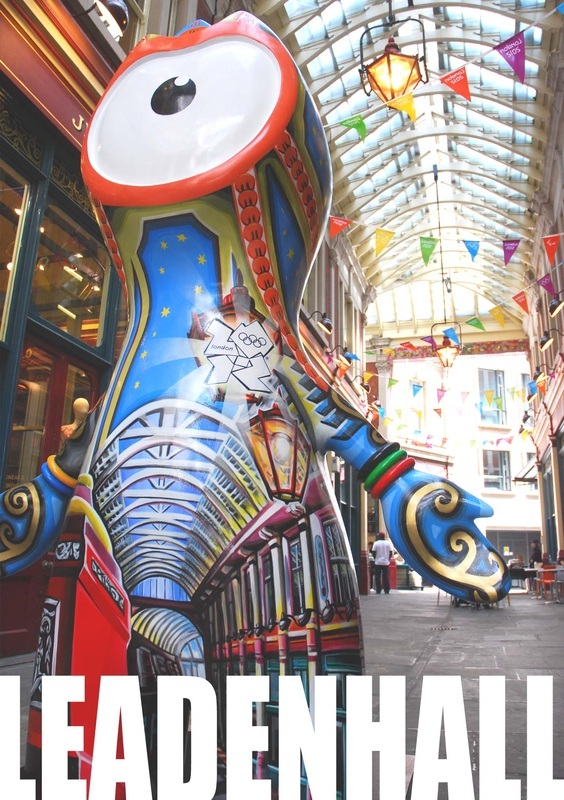 My designs for Leadenhall Market, William Blakes 'Tyger Tyger', Graffiti and Punk were chosen. They were so much fun to paint and the project has been a great success.